Prince Philip has been admitted to hospital for an exploratory operation, Buckingham Palace has said. The Duke of Edinburgh was admitted to the London Clinic “following abdominal investigations” and is expected to stay in the hospital for up to two weeks. The operation will take place on Friday under general anaesthetic. It is a planned, not an emergency, admittance. Prince Philip, who will be 92 on 10 June, pulled out of an official engagement earlier this week. In the past week, the duke has been having unannounced “abdominal investigations” at the hospital in central London, said BBC royal correspondent Peter Hunt. The Palace said in a statement that “further updates will be issued when appropriate”. On Monday, Prince Philip pulled out of an engagement for the Royal National Institute of Blind People after becoming unwell ahead of last week’s service marking 60 years since the Queen’s coronation. Prince Philip attended the service at Westminster Abbey on Tuesday and was present at a garden party attended by the Queen at Buckingham Palace on Thursday afternoon. Guests said he gave no signs of being unwell. Prince Philip was driven to the clinic after the party and walked in unaided. A Palace spokesman at the London Clinic described the Duke of Edinburgh as being in good spirits. The spokesman stressed it was not an emergency admission and the decision was taken by the duke’s doctors to carry out the exploratory operation after investigations and tests last week. Police officers were standing guard outside the hospital ahead of Philip’s operation. 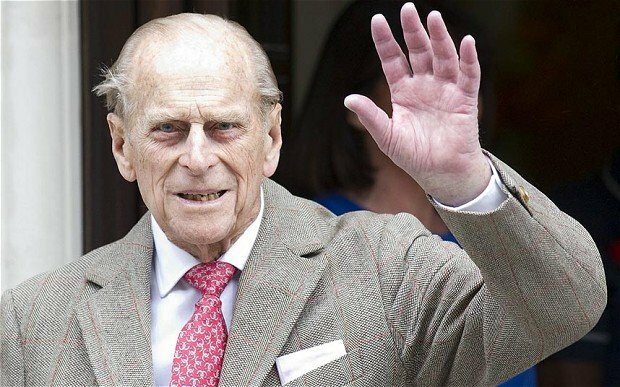 In April, Buckingham Palace played down fears about the Duke of Edinburgh’s health after he was pictured with purplish skin round his eye in Canada. It said he did not fall and simply woke up with the discoloration. Prince Philip, 91, has been admitted to hospital three other times in the past two years after suffering health scares. In August 2012, he was treated at Aberdeen Royal Infirmary for a bladder infection. The Duke of Edinburgh spent four days in hospital over Christmas 2011, following an operation to clear a blocked heart artery. After attending events to mark the Queen’s Diamond Jubilee in June, he was admitted to hospital for five nights missing several days of festivities after sustaining a bladder infection. On Friday, Prince Philip was due to accompany the Queen when she officially opens the BBC’s New Broadcasting House building in central London. The Queen will now undertake the visit alone. Prince Philip was at the Queen’s side at Westminster Abbey on Tuesday for the coronation service and on Wednesday toured a Victorian steamship, the SS Robin, in London’s East End. Ahead of the garden party, Queen Elizabeth II invested her husband with New Zealand’s highest honor to mark the Diamond Jubilee making him an additional member of the Order of New Zealand. The Duke of Edinburgh would miss the Trooping the Colour parade on June 15, marking the Queen’s official birthday.